My family and I loved the Minions movie and we were counting down the days until it was available to own. We were so excited when we found out that they were releasing the Minions Blu-Ray/DVD MetalPak which is exclusively at Target. While shopping to pick up the exclusive deluxe set, I also picked up supplies for my DIY Christmas Ornaments Project. 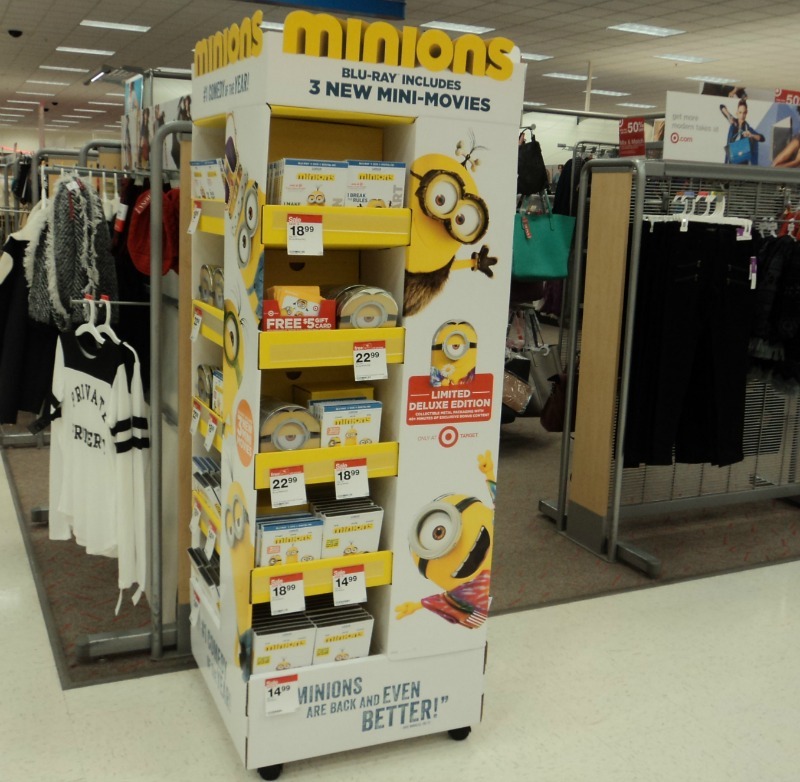 When you purchase the Blu-Ray/DVD MetalPak, you get a $5 Target gift card and that will allow you to save a little money when getting all of the other fun minions items at Target. Plus the DVD which was released on 12/8 includes 40 minutes of Target exclusive content! It put a smile on my face while shopping when I seen all of the minions licensed products at Target like clothing, toys, and books. I think my family isn’t the only ones with minion fever. 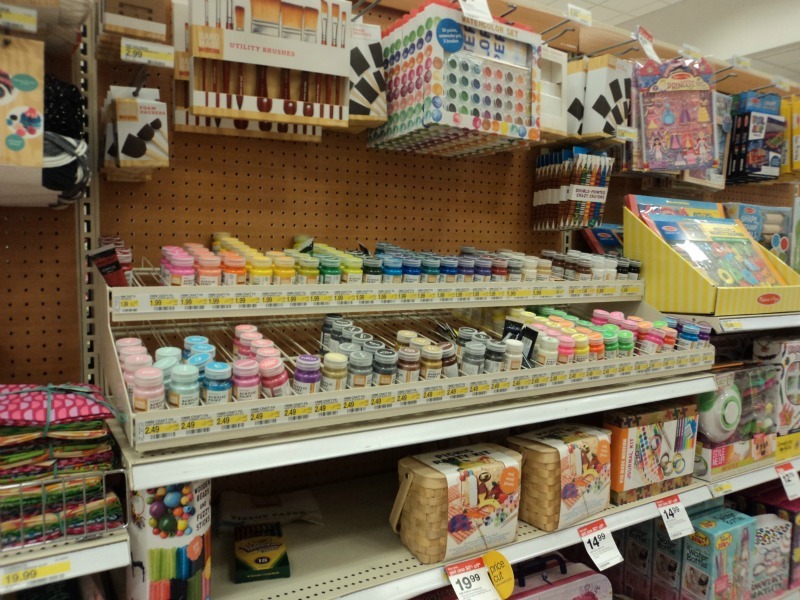 I then headed to the craft section and picked up my supplies for creating my DIY Christmas Ornaments. I picked up some paint, ribbon, glitter glue, markers, washi tape, and a few more glue sticks for my glue gun. 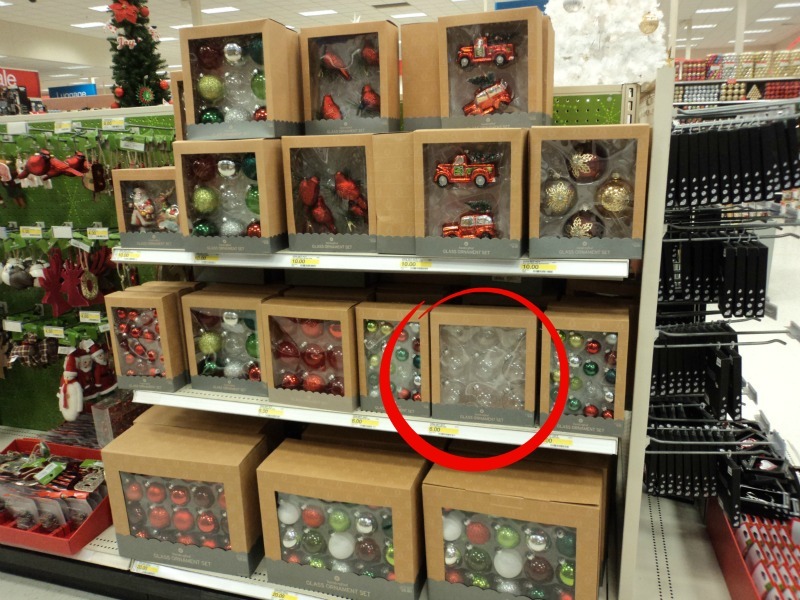 I then headed to the Christmas section and picked up some clear glass ornaments that are perfect for any DIY Christmas Ornaments you may be working on. Target really is the perfect one stop shop for all of my family movie night needs. When I got home, we couldn’t wait any longer to watch the Minions movie and create our own Minion ornaments. 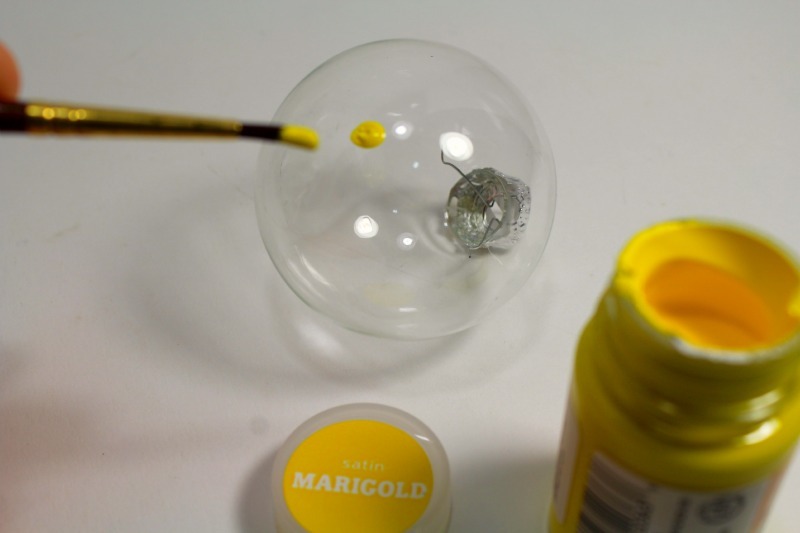 The first step is to paint your ornaments yellow. This may take a couple of coats depending on the material you are painting. 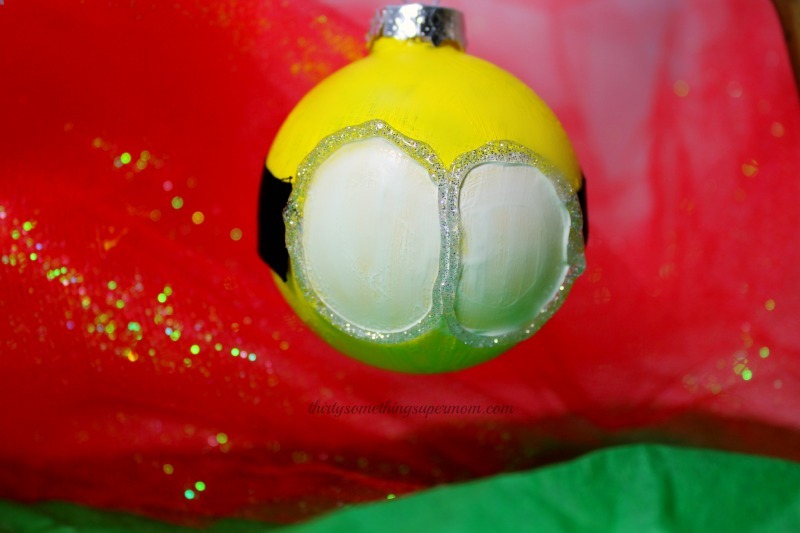 The ornaments I picked up were glass and two coats was enough to get the bright yellow color I was going for with my ornaments. If possible, hang the ornaments to dry in between coats, this will prevent any spots being rubbed off while drying. Cut a piece of ribbon to fit around the ornament but leave a space for the eyeholes on the goggles. Use a hot glue gun to secure it around the ornament. Use white paint to create the eyes but be sure to leave room around them for the goggles. I then used the glitter glue to create the eye holes of the goggles. Be sure to fill in any gaps left from the ribbon, this is a great way to even out and smudges or lines created with the white paint. Let the glitter glue dry before working on the extra details and filling in any more white or yellow paint. I would suggest letting it sit overnight to ensure it has dried completely. If you want to create the famous minions overalls, use some washi tape in a light blue. Then color in the pockets and buttons after placing the straps on. I added lowered eyelids and I cut out a little piece of cardboard and wrote “I’m with stupid” and placed it on the bottom of one minion. I also created a one eyed minion to resemble Kevin, my favorite character in the Minions movie. Now that our Christmas tree is full of minions and holiday cheer, I think we will watch the movie again tonight, while enjoying the decorations on our tree. You can pick up your Minions movie Blu-Ray/DVD Metal Pak at Target online right now by clicking here or head to the store! Will your family be creating their own DIY Christmas Ornaments this year? OMG, those are so CUTE! We just love the minions in our house, so I should totally attempt to make a couple of these with my kids! Those are cute ornaments. I'd love to make these with the kids this Christmas. This is a project that we are totally doing! Minions are #1 in our house right now. They are so cute! I made DIY ornaments like this one year with my daughter. We had such a good time. I think I should force her to do it with me again! Now these are adorable. 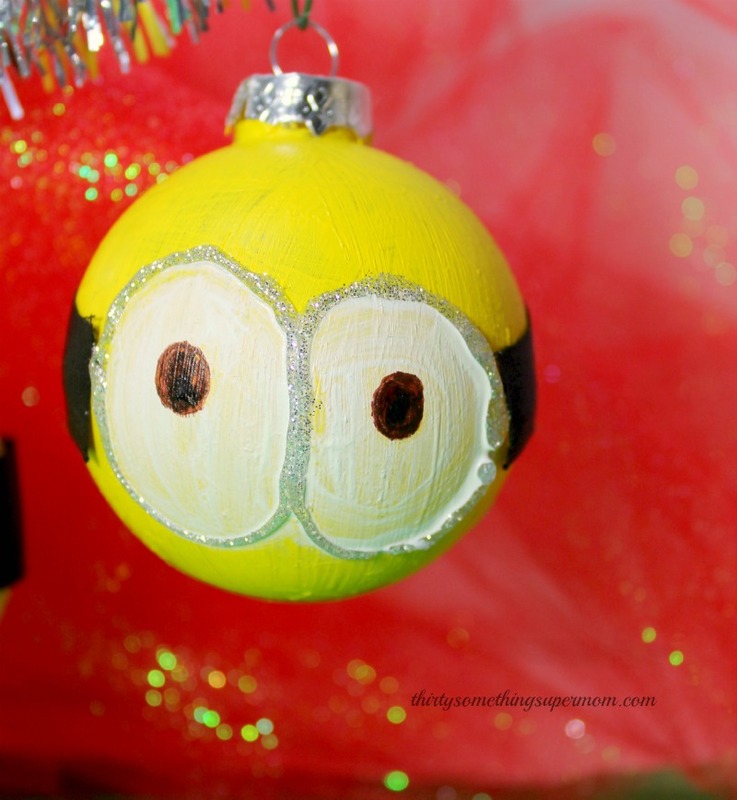 I love the minions and my nieces and nephews would have a blast making some of these cute ornaments. Wow...those are cute. 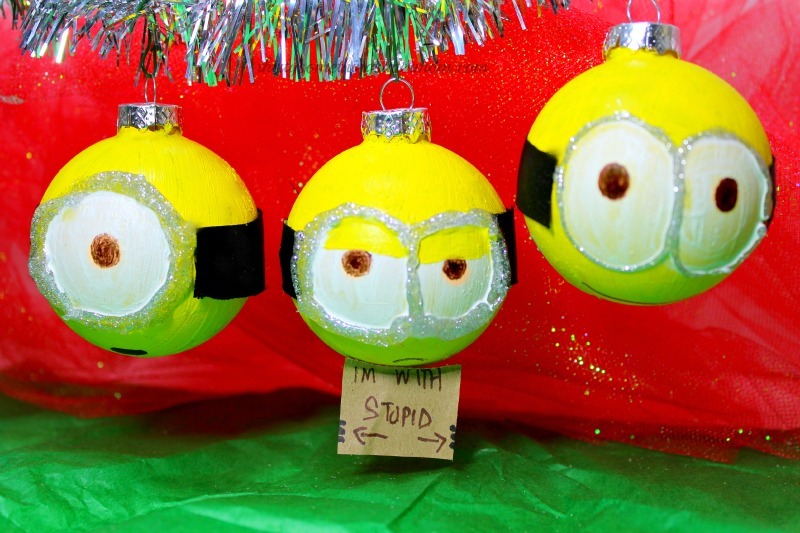 What a smart idea to make your own ornaments based on things your family enjoys most. Adorable! My girls would have so much fun creating these! i even have some plain bulbs in my basement we could use. I love the Minions movie. They are so cute and look perfect in your home as a décor. Santa's Minions are coming to town! 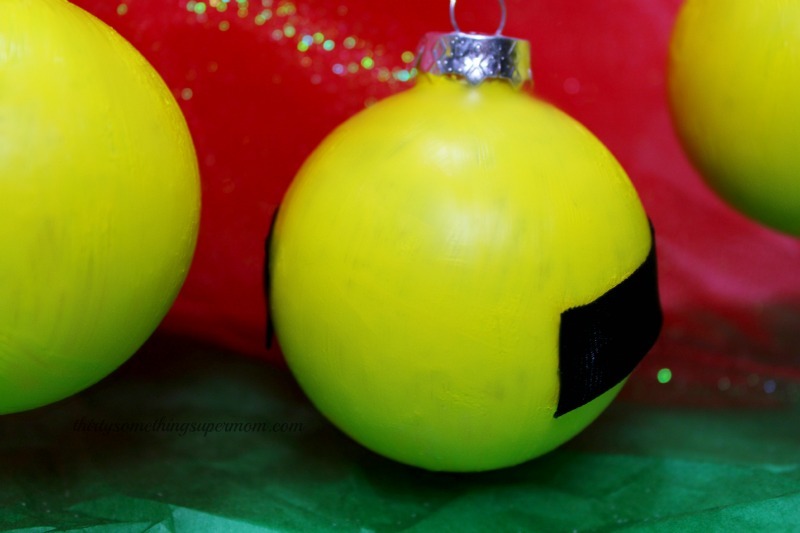 Lol these are too cute, my kids would love to make some ninja turtle ornaments. What a clever idea. The girls will love this. I'd like to make some of these cuties. I have a couple of friends who are minion obsessed!! These would be awesome to make them for Christmas!! These are so adorable. I will have to get the supplies i need to make some this weekend. I love these ornaments! They are so cute and I know my girls would love to make them! I love that this is something my oldest could do! What a very cute way to have a new ornament. Oh my goodness. How cute are these! 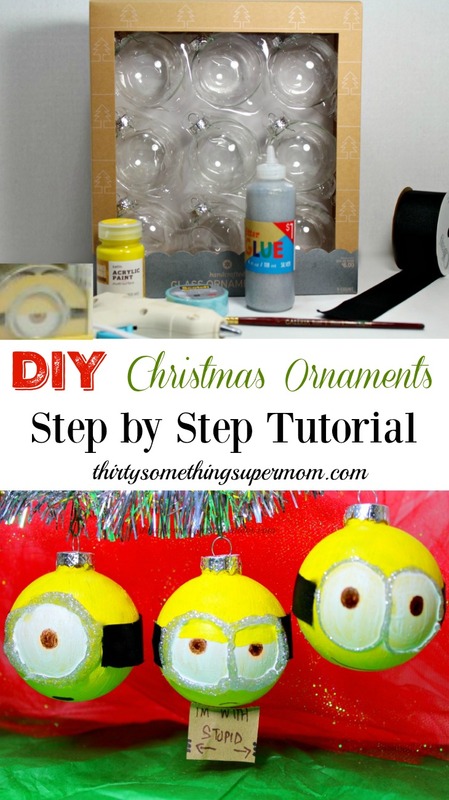 My 2 year-old is BEYOND obsessed with minions I think this would be such a fun idea to do for our tree! Those are cute. My little guy has discovered minions after receiving a minion for his birthday. I'm thinking we might do this for his little Christmas tree. Those are so adorable and bright. The Minions are a big hit around here, especially with my grandkids. My kids are huge minion fans so they would love to have these! You gave me a great idea so thnk you! What a fun way to celebrate the release of the minions movie. Those clear ornaments are perfect for so many different kinds of crafts. These are adorable! My son loves the minions and would love to make some of these. These ornaments are so cute! 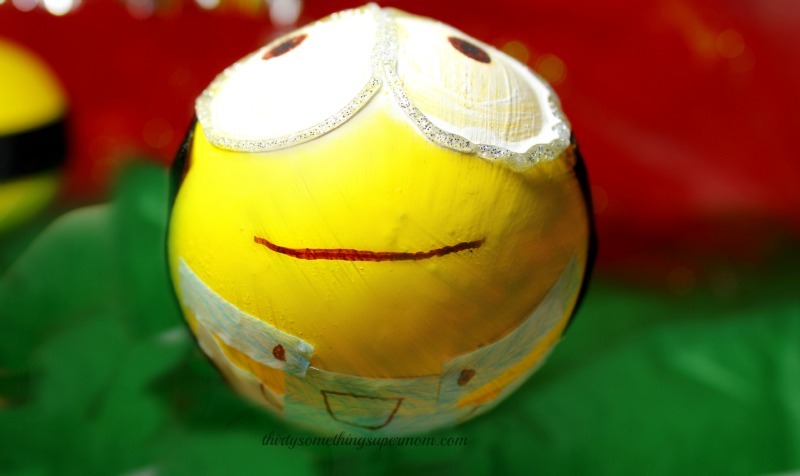 Our kids love the Minions and would totally have a blast making these! These ornaments are so cute, and I bet make a fun craft to do with the kiddies. My nephew would probably like to make these. 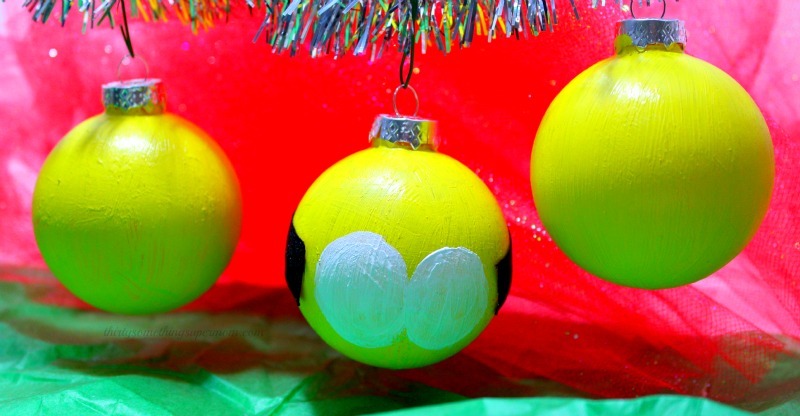 These are such adorable Minion Christmas ornaments. I am so going to be making these with the kids because we all love the Minions. Thanks for sharing the ideas. You're welcome, thank you for stopping by! I cannot get over how creative this is. They are fairly simple too. I'm sure this would be a fun craft project with kids. Thanks for sharing your ideas. Yes it's so simple to do and everyone can add their own special touches! I absolutely loved this post! This is so creative and fun thing to do with your kids! Thanks! I love being creative, it's a great way to spend the day with my daughter.